Deloyala guttata (Mottled Tortoise Beetle). Size: approx. 4 mm. Photo: 04/25/12, 11 am. Bizarre! This is an adult. 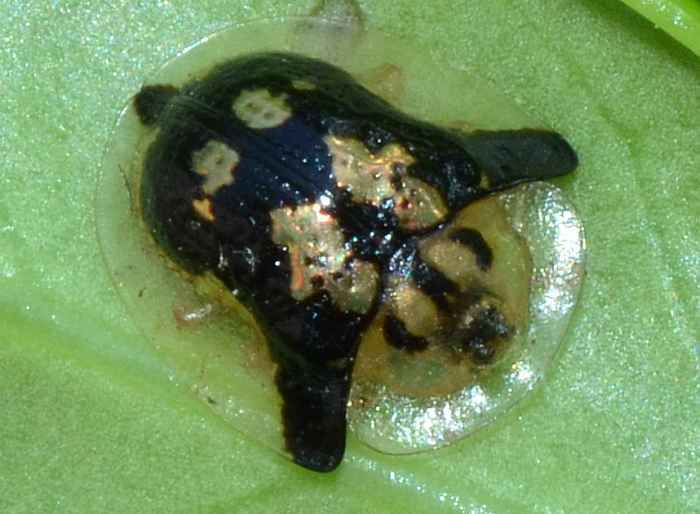 The second link shows a Mottled Tortoise Beetle walking.